St. Martin's Press, 9781250030894, 384pp. DANIEL PALMER is the author of four critically-acclaimed suspense novels, including Delirious and Desperate. After receiving his master's degree from Boston University, he spent a decade as an e-commerce pioneer. A recording artist, accomplished blues harmonica player, and lifelong Red Sox fan, Daniel lives in New Hampshire with his wife and two children, where he is currently at work on his next novel. 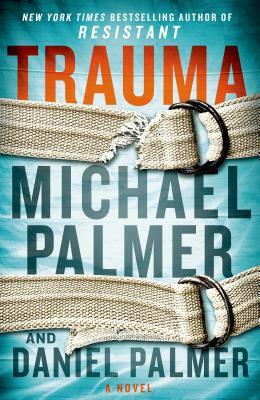 Michael Palmer (1942-2013) wrote internationally bestselling novels of medical suspense, including The First Patient, The Second Opinion, The Last Surgeon, A Heartbeat Away, Oath of Office and Political Suicide. His book Extreme Measures was adapted into a movie starring Hugh Grant and Gene Hackman. His books have been translated into thirty-five languages. Palmer earned his bachelor's degree at Wesleyan University, and he attended medical school at Case Western Reserve University. He trained in internal medicine at Boston City and Massachusetts General Hospitals. He spent twenty years as a full-time practitioner of internal and emergency medicine. In addition to his writing, Palmer was an associate director of the Massachusetts Medical Society Physician Health Services, devoted to helping physicians troubled by mental illness, physical illness, behavioral issues, and chemical dependency. He lived in eastern Massachusetts.